equal voices in the room? is a collective of people exploring the form of discussion through critiquing of the hegemonic form of the un-facilitated discussion, which prioritises speech and the speaker. Throughout their time at the Royal College of Art equal voices in the room? 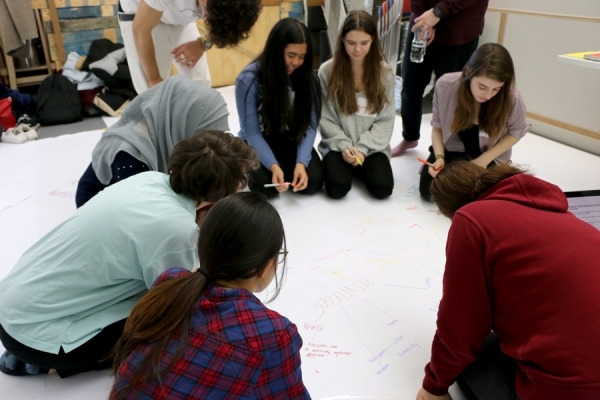 facilitated workshops for students and staff to look at how materials, structure and rules, as well as actions and movement, may affect the participation of the group in conversation. 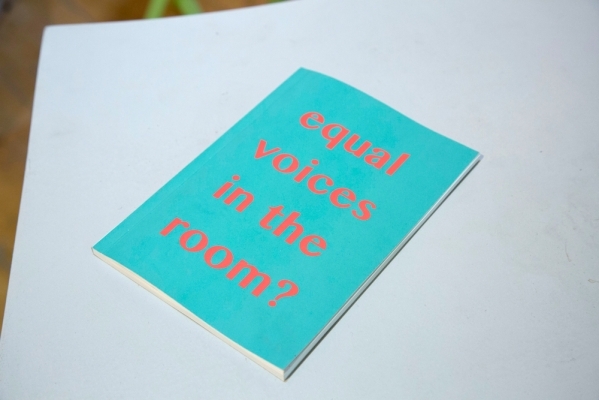 The project sees group work as a microcosm of the wider political system, thus prompting questions about how democracy is enacted through speech and debate. Largely but not only contextualised within pedagogy, the project demands a closer more caring look at structures and organisation within daily life and their potential to have political and social effect. 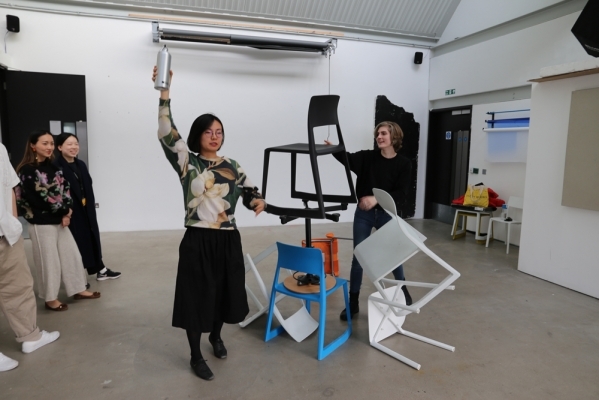 The installation created for the degree show at the RCA includes props and other materials used in the workshops and a publication with exercises created for the workshops. equal voices in the room? was founded by Alex Parry and Cicilia Östholm. It is a group of artists interested in challenging dominant discussion methods and practices of exclusion. Artists involved in the project are Shamma Al Amri, Milagros Bedoya, Alex Parry, Cicilia Östholm, Rachel Yalisove, Sadie Edginton, Nazanin Rahami, Aurora Gazm, Sing Hang Tam, Eleni Papazoglou and Sofya Chibisguleva.